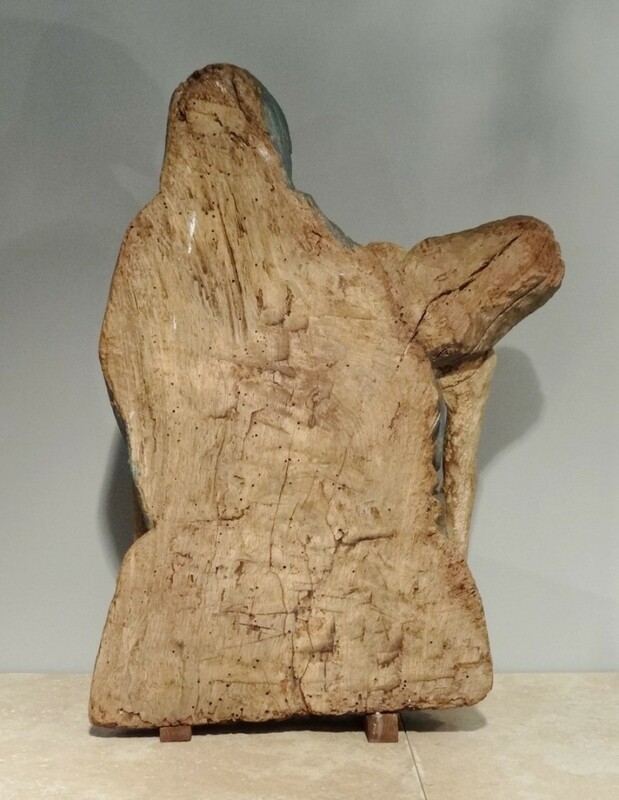 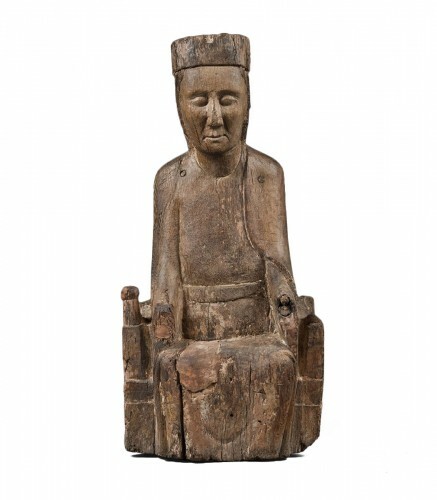 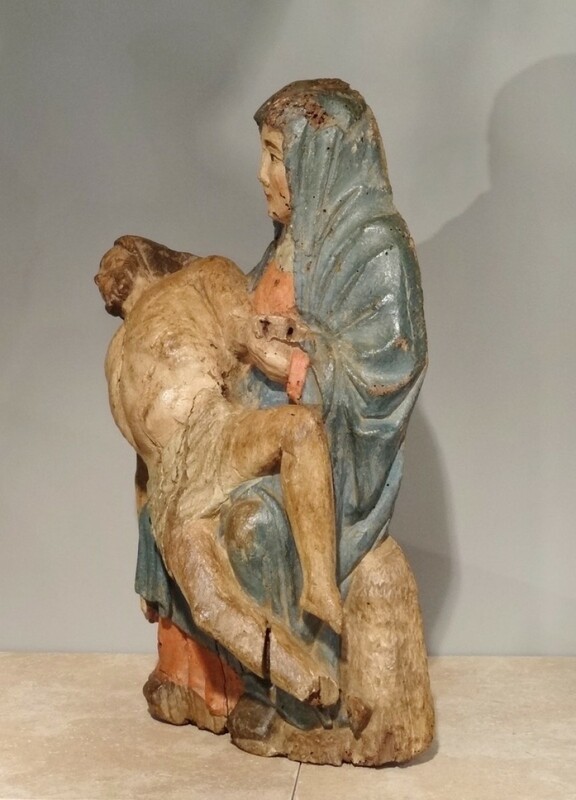 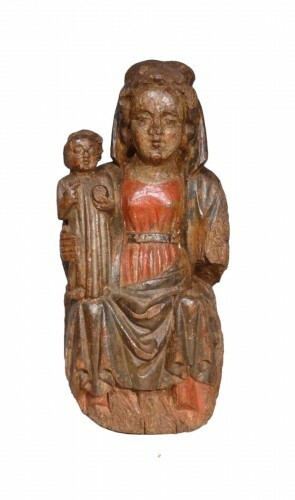 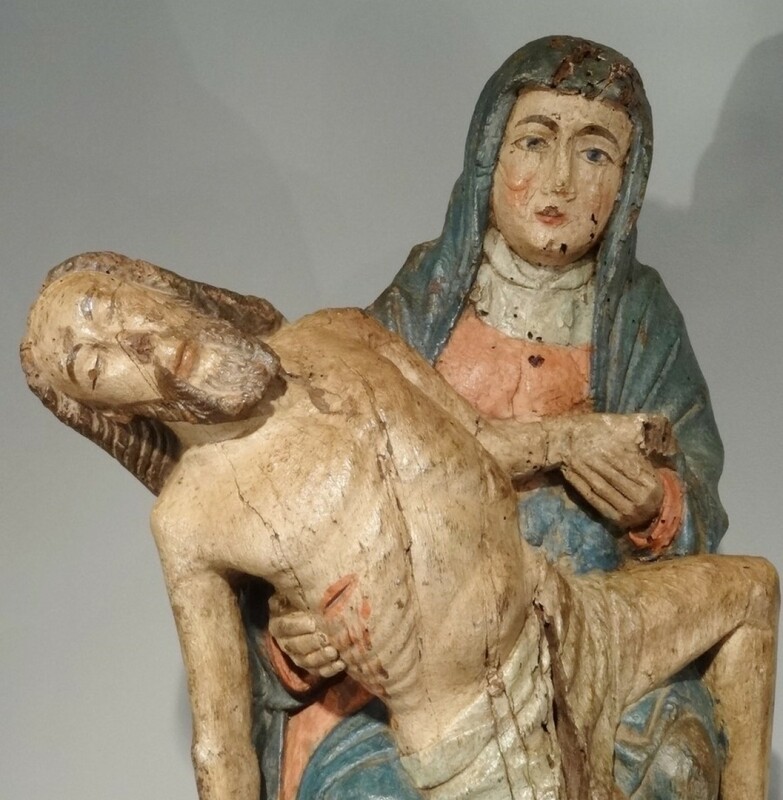 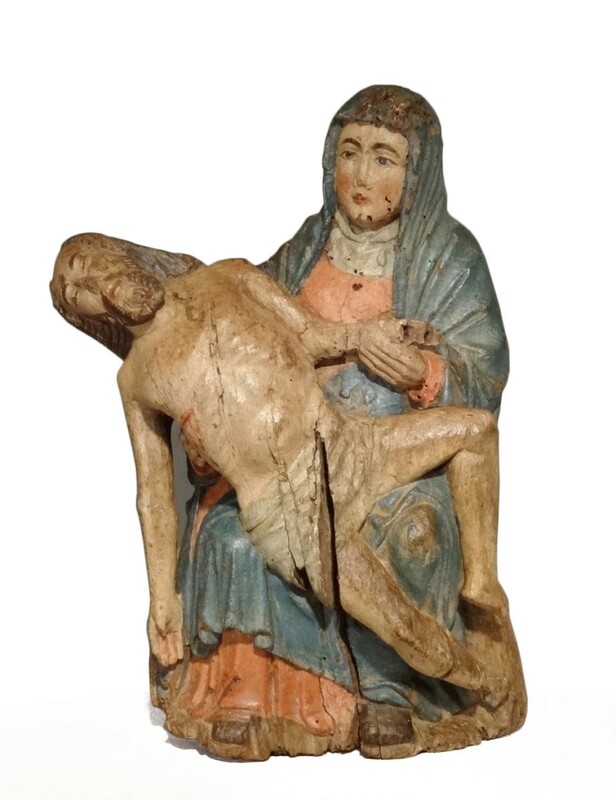 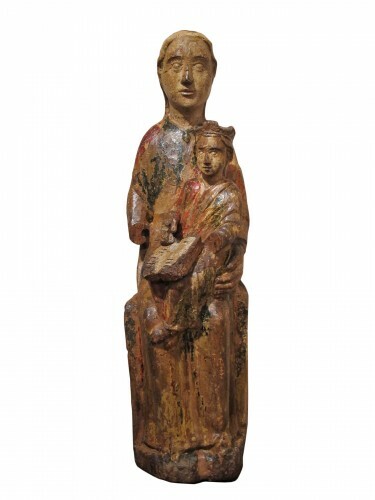 This beautiful pietà made of carved and polychrome wood represents the Virgin Mary gathering her son on her knees. The Virgin is wearing a long blue coat and a veil. 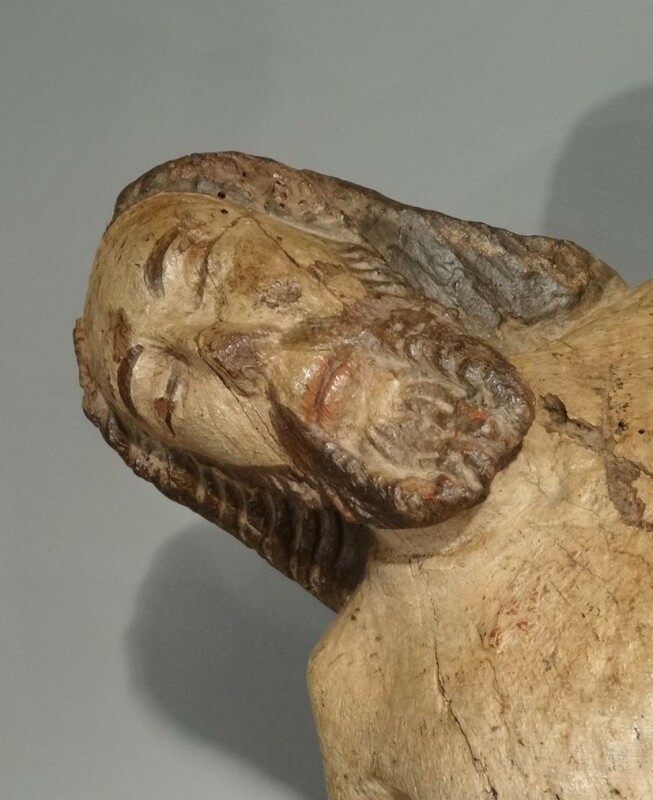 His face is soft and exudes an expression of gravity and wisdom. 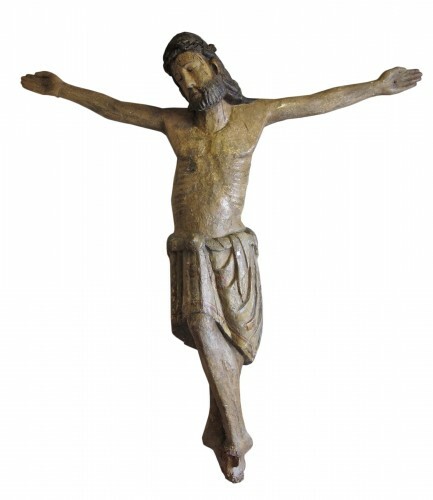 The head of Christ, leaning back, eyes closed, bears the marks of a certain serenity. 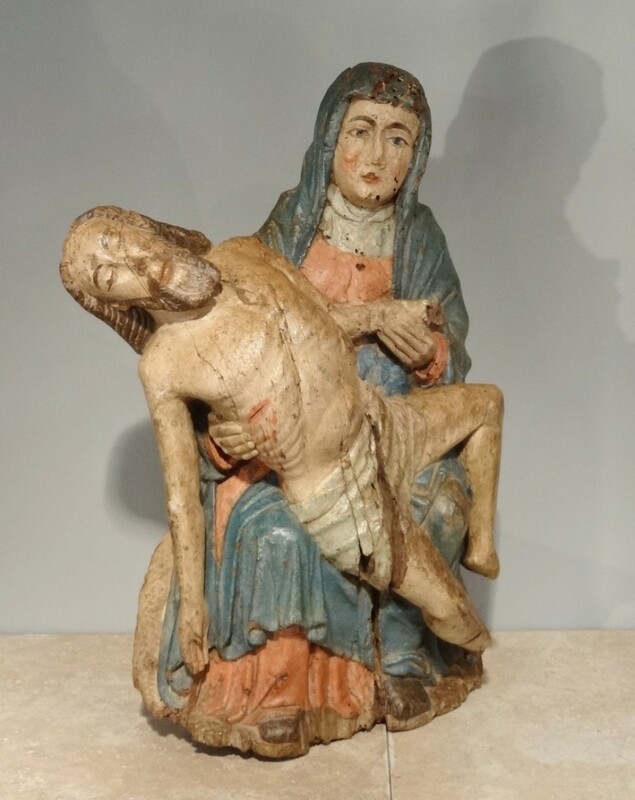 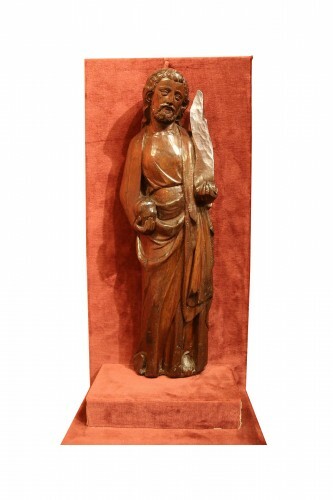 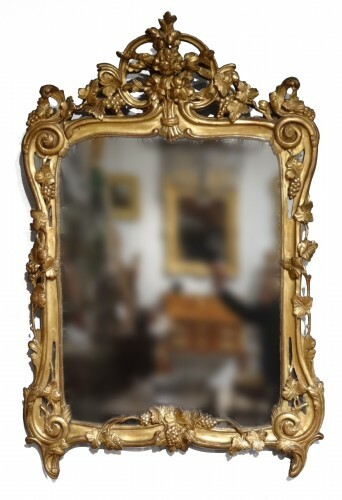 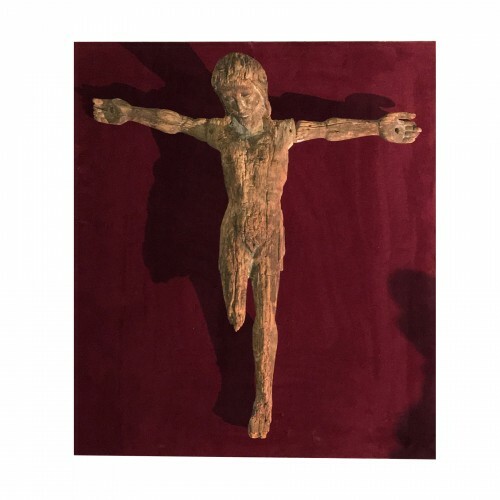 This important sculpture is a fine example of the medieval art of the fifteenth century in the center of France.